My name is Chelsea Nelson, and I am the new Carlson Intern at the University of Wyoming American Heritage Center. My job is to organize, categorize, and describe collections related to the College of Arts and Sciences so that researchers can use them. My job is pretty amazing, and the best part is digging through the lives of people and organizations from the past. I get to see some of the very best and brightest that the university has ever had the pleasure to claim and each collection feels like a coffee date with a person I would have liked to have known. It opens your eyes to the incredible quality of our alumni and the wonderful ways our school has grown with the times. 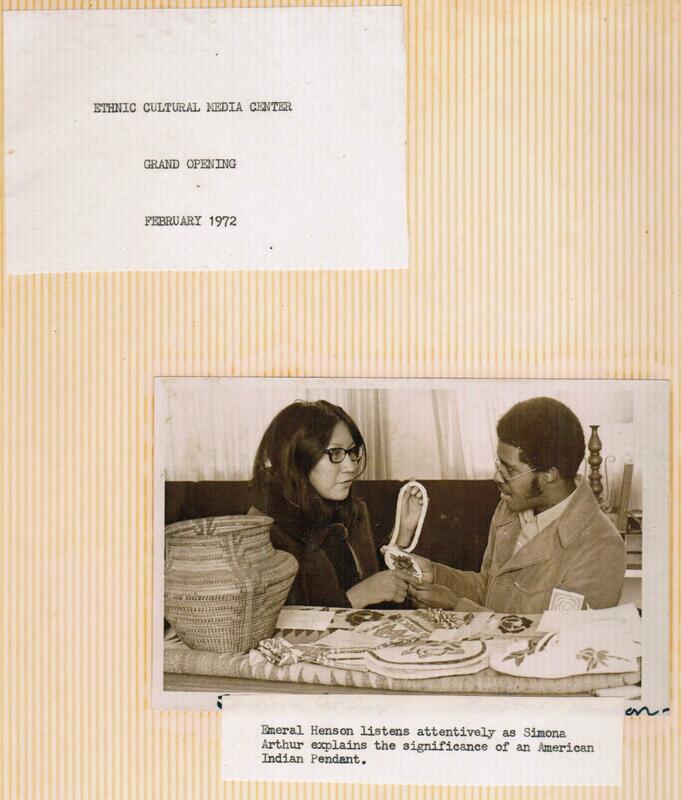 As part of my training, I recently completed processing the University of Wyoming’s Multicultural Resource Center records, a collection of scrapbooks, photographs, pamphlets, and materials documenting UW’s diverse student body. Although not solely related to the College of Arts and Sciences, this previously hidden (that is, uncataloged) collection gave me the opportunity to learn each step of processing a collection, and had the added bonus of providing access to an extremely important and unique collection. The University of Wyoming is not typically described as a school rich in diversity, but these records tell a strikingly different story. Scrapbooks, photographs, and documents show vibrant, passionate, and involved groups of students sharing their cultures and values with the campus and advocating for civil rights. Image of the MRC’s opening day. Caption reads: “Emeral Henson listens attentively as Simona Arthur explains the significance of an American Indian Pendant,” 1972, box 3, folder 1, MRC Records, #541010, UW American Heritage Center. During the late 1960s, UW began focusing recruitment efforts to attract minority students. UW’s Multicultural Resource Center (MRC) was started in 1972 as the Ethnic Cultural Media Center (ECMC), and served as a hangout and support location for the growing number of ethnic minorities coming to the University of Wyoming campus in the early seventies. 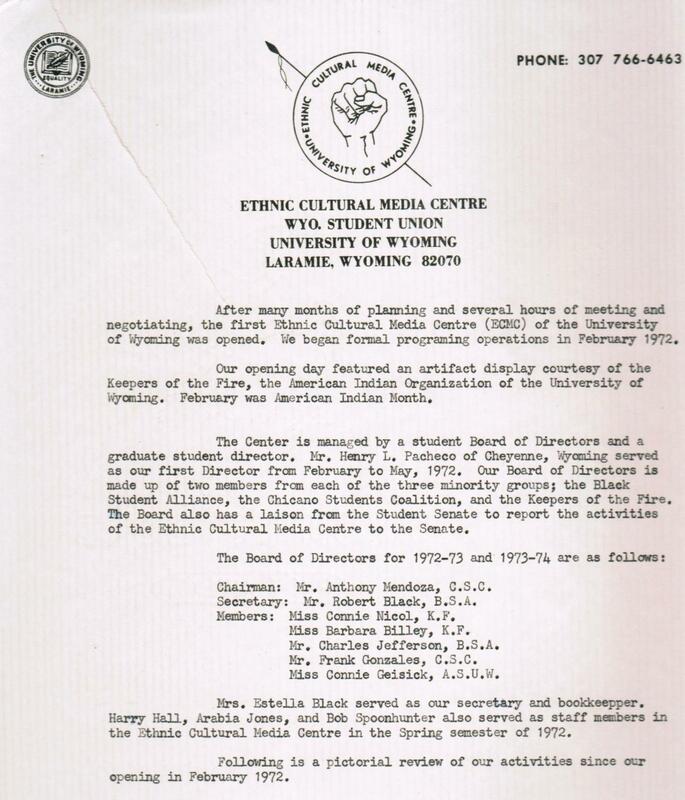 Document describing the opening of the Ethnic Cultural Media Center from scrapbook, 1972, box 3, folder 1, MRC Records, #541010, UW American Heritage Center. 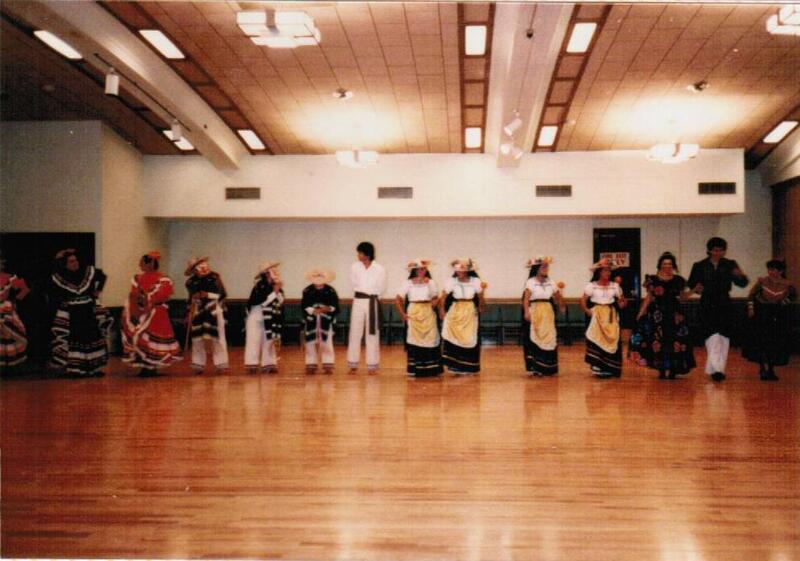 The growing number of minority students at that time allowed the ECMC to be immediately successful, and it became inextricably tied to student organizations on campus including the Association of Black Student Leaders, and Movimento Estudiantil Chicano de Atzlan (M.E.Ch.A). 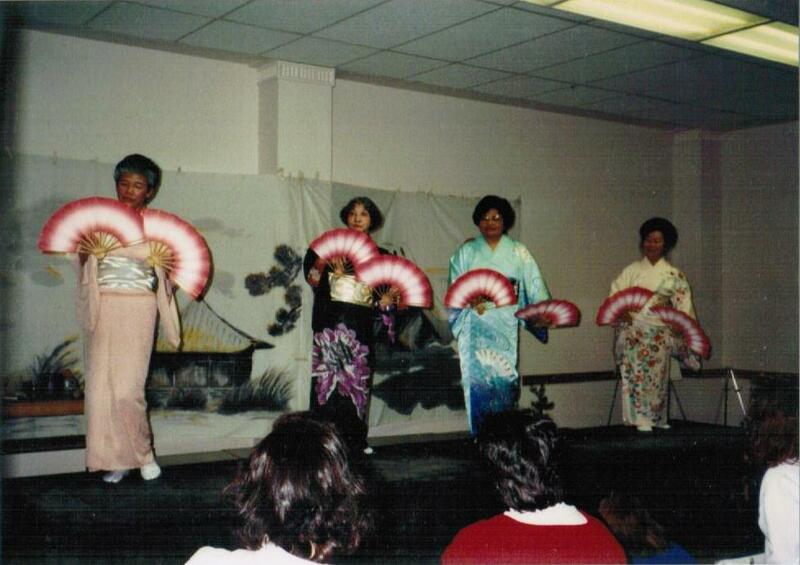 The ECMC hosted numerous events to raise awareness and acceptance of the many ethnicities, cultures, and other diverse backgrounds represented in the student body. Activity at the ERMC, photo from scrapbook. Caption reads: “Bobby Bird, Sofia Padilla, Student, Deb,” 1994, box 2, folder 11, MRC Records, #541010, UW American Heritage Center. Asian New year Celebration, undated, box 1, folder 17, MRC Records, #541010, UW American Heritage Center. 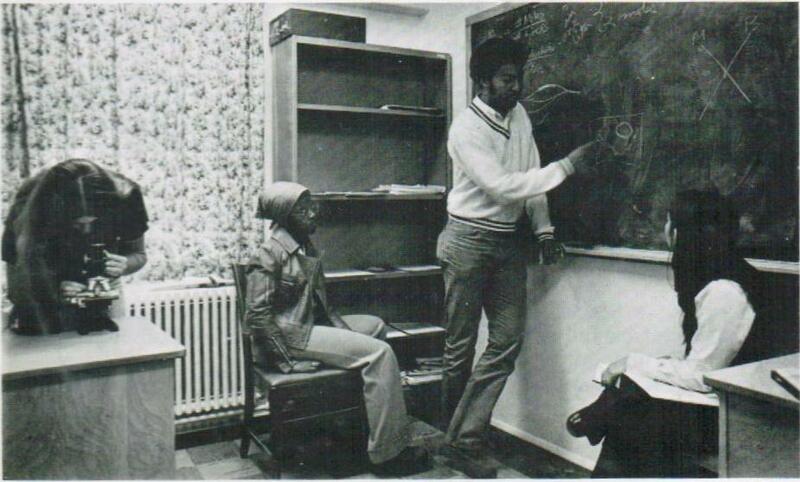 In 1974, the ECMC changed its name to the Multicultural Resource Center. 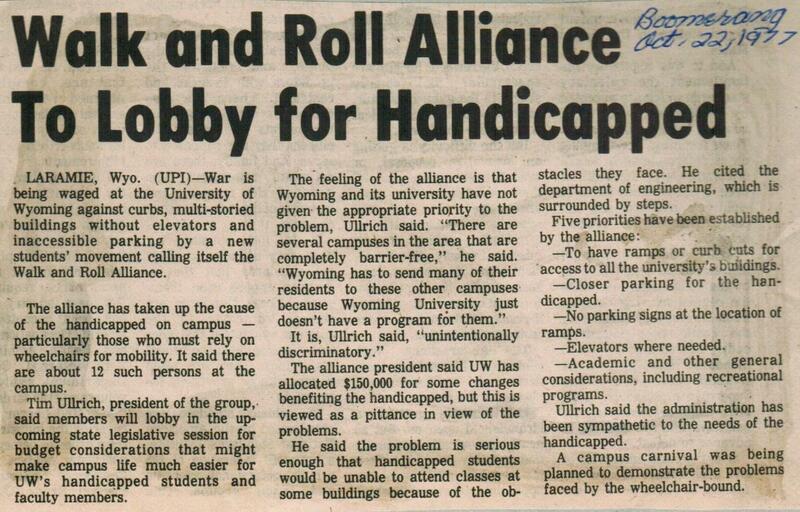 It also began to integrate other minority groups on campus, most prominently the Walk and Roll Student Alliance, which, as an offshoot of the Disabled Students of Wyoming, battled for, and won, a number of initiatives to make the campus more wheelchair accessible. Newspaper clipping from scrapbook, 1977, box 3, folder 10, MRC Records, #541010, UW American Heritage Center. 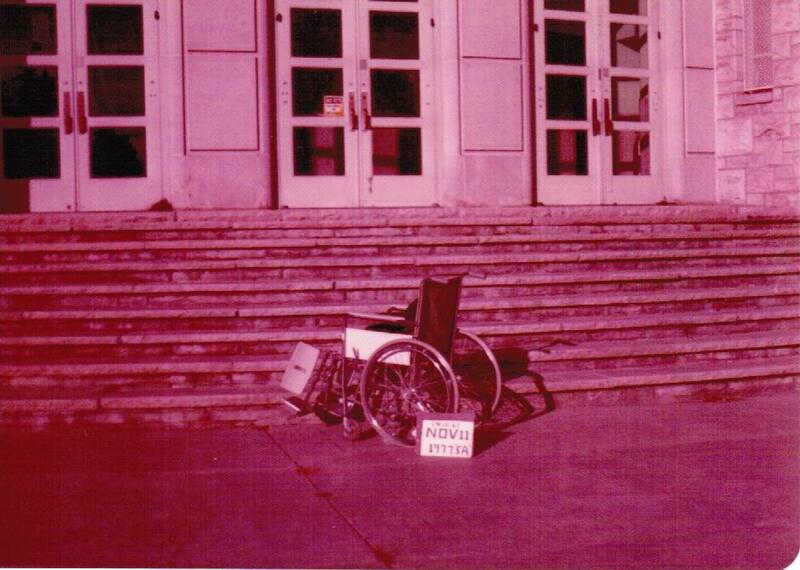 Image documenting inaccessibility of campus buildings,1977, box 3, folder 10, MRC Records, #541010, UW American Heritage Center. One of the most prominent sets of materials within the collection is a set of scrapbooks spanning the establishment of the ECMC in 1972 through 1999. These scrapbooks include event flyers, newspaper clippings and editorials, photographs, and other documentation of the work of student groups throughout the history of the Center. They represent the integral way in which the Multicultural Resource Center affected the political activeness and pride of students on campus. 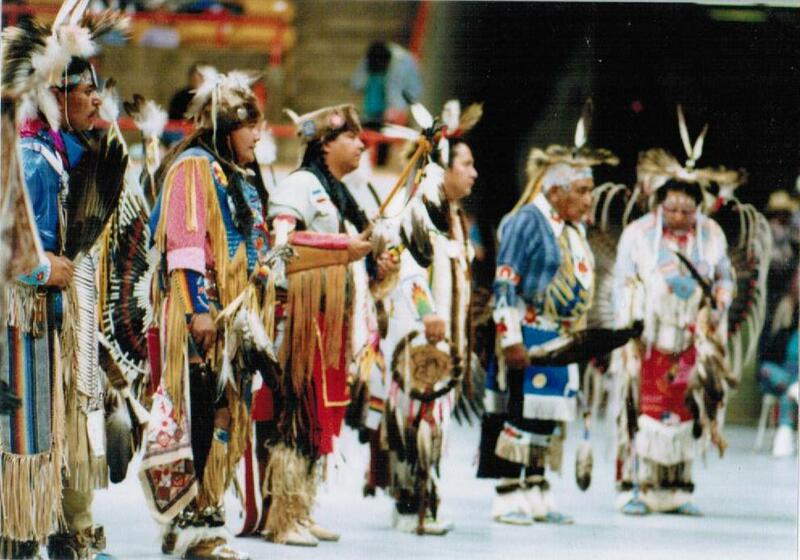 Caption reads, “Keepers of the Fire, Spring Powwow,” 1990, box 1, folder 3, MRC Records, #541010, UW American Heritage Center. MEChA event, 1985, box 3, folder 6, MRC Records, #541010, UW American Heritage Center. The MRC still exists today, continuing to support students struggling with stereotypes on campus, and within our society as a whole. It serves as a place for personal and intellectual exploration on academic excellence, student leadership & advocacy, inter-cultural awareness, and diversity. 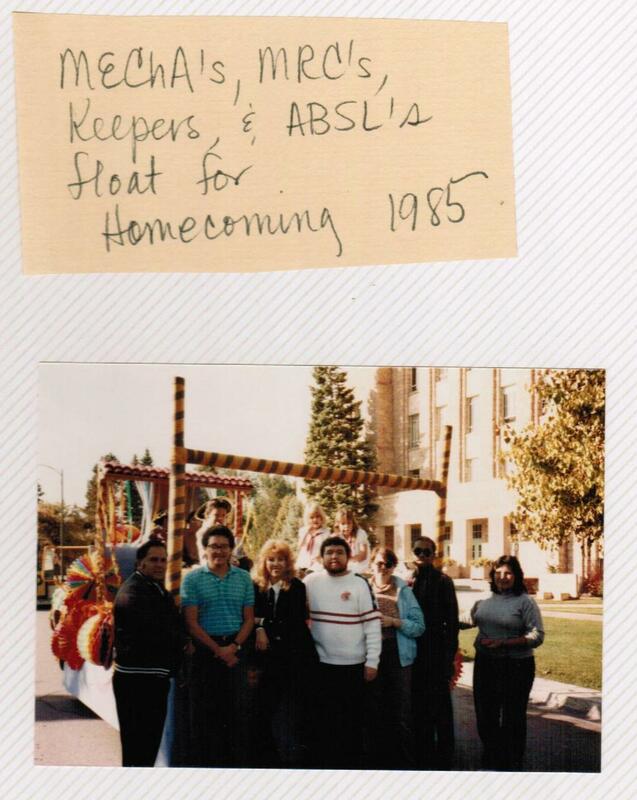 Caption reads, “MEChA’s, MRC’s, Keepers, & ABSL’s float for homecoming, 1985” box 3, folder 6, MRC Records, #541010, UW American Heritage Center. This entry was posted in Interns' projects, newly processed collections, Under-documented communities, undergraduate students, University of Wyoming history and tagged Carlson Intern, Multiculturalism at the University of Wyoming. Bookmark the permalink.